Since 1965 Ben's Supercenter has been a leader in offering Area residents a diversified selection of affordable, brand name products in agriculture, building materials, grocery, hardware, lumber and much more. As a community and customer driven company, Ben's Supercenter seeks out top quality goods that offer the very best value for consumers. The numerous awards that Ben's Supercenter has recieved are testament to the dedication in striving to offer consumers a wide variety of exceptional, innovative products. 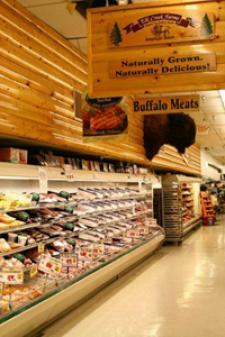 Ben's Supercenter also offers their in-store customers banking services, a full-service supermarket, two restaurants, a pharmacy, movie rentals andfresh buffalo steaks.